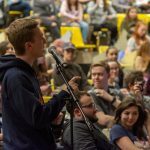 VICE PRESIDENT FOR STUDENT LIFE PETER KONWERSKI RESPONDS to a question from a Greek student. 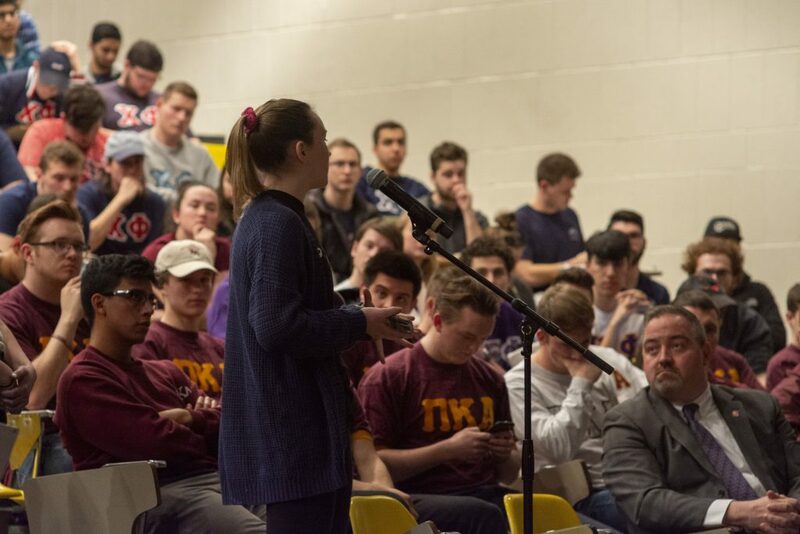 The Greek Life Open Forum held on March 20 in Darrin Communications Center 308 was presented as a space for students—Greek and non-affiliated alike—to ask questions to the Interfraternity Council and Panhellenic Council concerning the Draft Report of the Greek Life Task Force and its impact on the Rensselaer community. 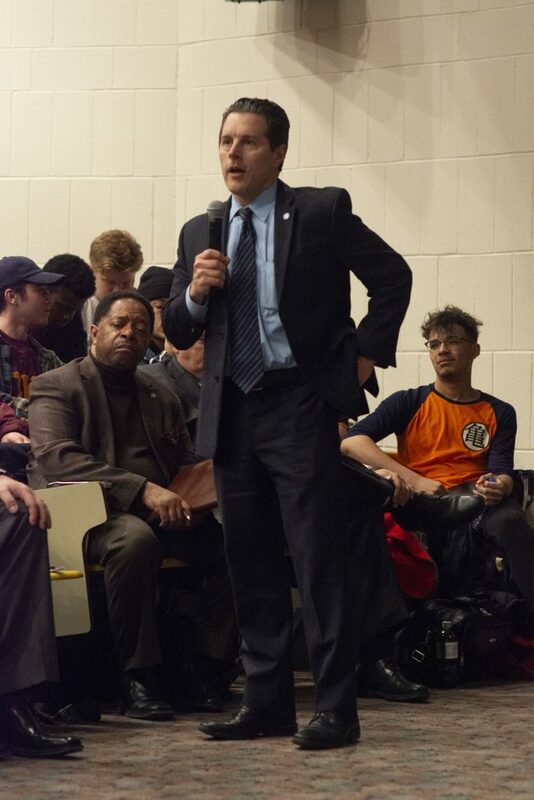 However, the forum quickly turned to a Q&A with the attending administrators. Special Assistant to the President Le Norman Strong, Vice President for Information Services and Technology and CIO John Kolb ’79, Vice President of Student Life Peter Konwerski, and Assistant Vice President and Dean of Students Travis Apgar sat as audience members in the front row of the nearly full classroom, while members of IFC and Panhel sat at a table, panel-style, in front of the crowd. The IFC and Panhel representatives first presented results from a recent survey on the current climate of Greek Life at RPI, then shifted to a series of questions where the audience was asked to “stand if the statement applies to you.” Nearly the entirety of 308 rose in response to “stand if your Greek chapter is one of the main reasons you’re still at RPI,” accompanied by loud applause. The representatives then invited members of the audience to file down to two microphones at the front of the room to answer two questions posed by IFC President Vish Gopalakrishnan: “What are your concerns about what’s going on on campus?” and “What do you want us to do about it?” Lines quickly grew behind the microphones, and wait times to speak pushed 30 minutes for some attendees. 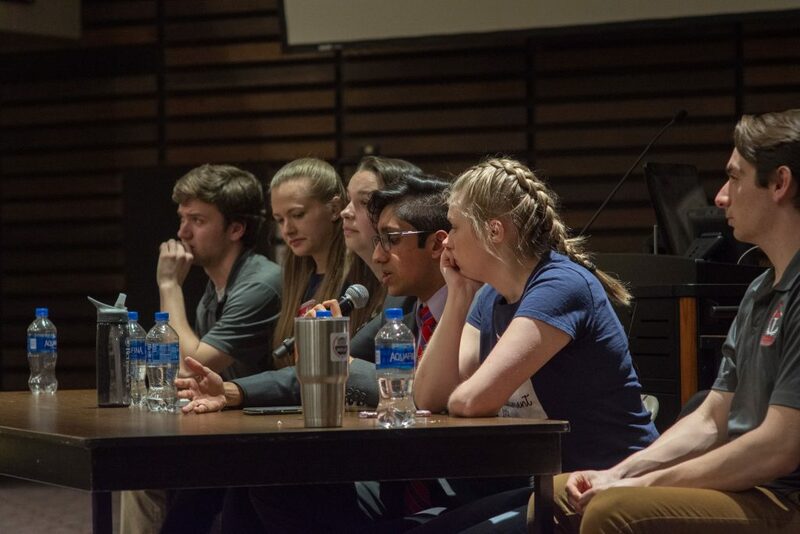 Topics discussed ranged from the validity and relevance of the Institute’s compiled data on alcohol, sexual assault, and GPA to concerns about deferred recruitment and Arch housing. According to the Draft Report of the Greek Life Task Force, “Incoming students require time to establish their relationship to the Rensselaer environment, to adjust to the new academic challenges they are asked to meet, to establish friendships among their student cohort, and to explore the entire First Year Experience.” This would be accomplished by a policy of deferred recruitment. 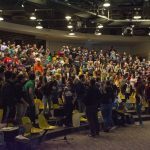 Additionally, according to administrators, deferred recruitment is meant to allow students more time to choose between the many Greek organizations on campus. The deferred recruitment policy in consideration by the Institute would bar freshman from attending fall rush events. They would be able to attend “info sessions” and other events in lieu of the traditional rush events. Apgar elaborated, “Do we want you to invite them over for recruitment events? 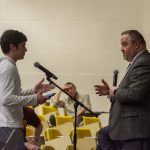 Probably not in that first semester.” He went on to question exactly what defines a recruitment event, and made clear that there were many other options for prospective Greeks. Deferred recruitment was one of the most frequently asked about topics, with students pointing out that there seems to be no tangible advantage offered to Greek organizations specifically, and it seems difficult to implement effectively while simultaneously implementing the Arch. The National Interfraternity Council “does not support deferred recruitment,” arguing that independent research shows “fraternity members exhibit higher levels of growth” in comparison to their unaffiliated peers, and that “the difference in growth is most pronounced during a man’s first semester of college.” The National Panhellenic Council agrees, saying that deferred recruitment “is not in the best interests” of sororities, pointing out that other organizations, like clubs and sports, “are free to recruit, select, and enroll new members at any time” while Greek organizations must wait until Spring. Members of fraternities and sororities pay dues, and deferred recruitment decreases the amount of time an individual can contribute money to their respective organizations. 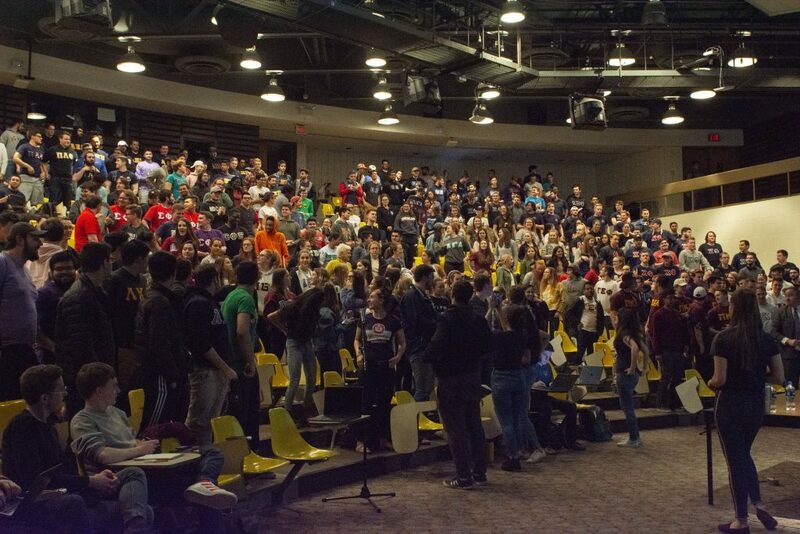 There was also a concern raised that Greek life at Rensselaer is serving as the Institute’s scapegoat for statistics on alcohol abuse and sexual assault, with students noting the lack of a discernible difference in those statistics between athletes and Greeks. It was suggested that if these statistics were one of the driving reasons behind the reforms in the Greek Life Task Force, there should be a sort of athletics task force as well. 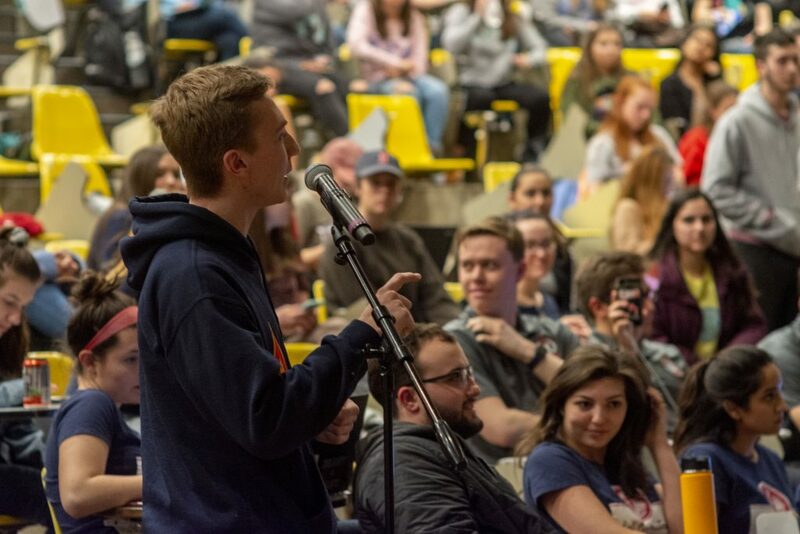 Students also voiced issues with RPI’s publication surrounding their Greek life community. 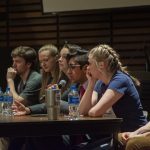 Students expressed that the only articles linked on public pages about the Greek community were either negative press coverage, or about other schools. Members of Phi Iota Alpha brought up that their status was listed as “under suspension” on a public page. 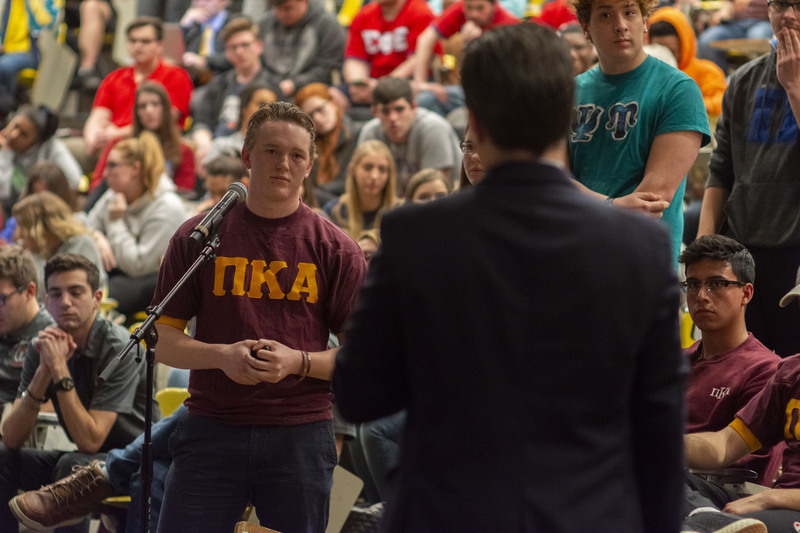 President of Delta Phi Jacques Becker ’19 mentioned that his chapter was denied loans for a new chapter house from multiple banks in the area due to the negative feeling RPI has expressed towards Greek life. 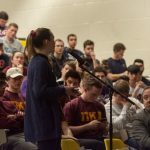 This series of events is not unprecedented at RPI; similar reports and drafts for ways to restructure and improve Greek life and RPI go back over 25 years. In 1991, a “Relationship Statement,” was created, making clear the responsibilities of Greeks, administrators, and all other parties involved in the Greek-Institute relationship. In 2000, a group was created which would update the Relationship Statement. 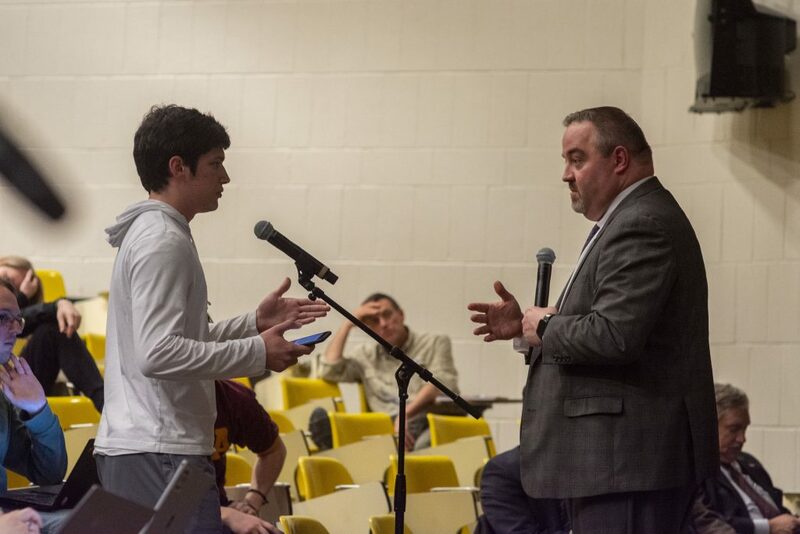 These plans were made public at a similar forum in 2006, where over 500 students filled DCC 308 and asked questions of three present administrators who presented on the policies, including Apgar, who was a senior judicial administrator at the time. These policies were not adopted. 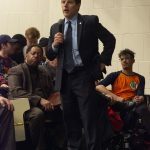 The proposed alcohol policy included the following: “No consumption or storage of alcohol in any common areas on property occupied, owned or leased by a Rensselaer fraternity or sorority,” and “Social events are to be alcohol free unless it takes place in an approved 3rd party location.” Both of these policies will go into effect in the Summer semester, as announced in an email on March 27 that outlined updates to the Alcohol and Other Drugs Policies section of the Student Handbook of Rights and Responsibilities. Rather than deferred recruitment, the new member policy presented on in 2006 focused on “transforming recruitment from Rush to year-long recruitment,” where bids would be sent out in the Fall semester and pledge education would begin in the Spring semester. The house director policy presented in 2006 would require a house director in every Greek house. In the Draft Report of the Greek Life Task Force, it was recommended that every Greek organization have at minimum an alumni adviser, faculty adviser, and chapter adviser. It also put forth a requirement for all organizations with houses to have a Greek live-in adviser, a student member of the organization who is of senior status or higher.